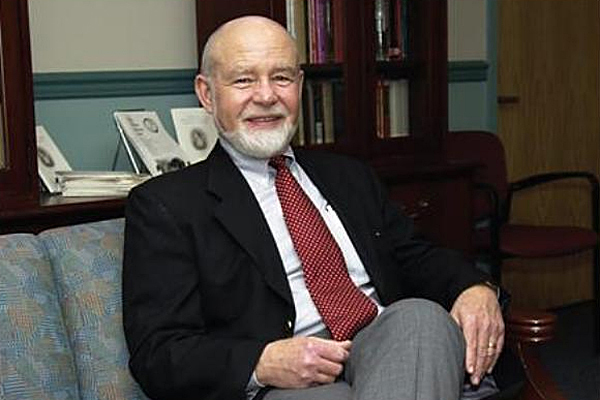 Professor Emeritus Jerry Beasley will be honored at "The Beasley Fete" on Oct. 13. 12 p.m., Oct. 3, 2011--The University of Delaware Department of English will hold "The Beasley Fete," an event honoring professor emeritus and former department chair Jerry Beasley, at 4:30 p.m., Thursday, Oct. 13, in 205 Gore Hall. The event will feature a roundtable discussion of the publication New Contexts for Eighteenth-Century British Fiction: 'Hearts Resolved and Hands Prepared,' a collection of 13 essays in honor of Beasley, which was edited by Christopher Johnson, professor of English at Francis Marion University. In addition to Beasley and Johnson, the roundtable will include Charles Robinson, Don Mell and Matthew Kinservik of UD's Department of English and contributors Marta Kvande and Melissa Mowry. A reception will follow in the Dome on the third floor of Memorial Hall. Beasley grew up in Nashville, Tenn., receiving his bachelor's degree from George Peabody College of Vanderbilt University in 1963, his master's degree from the University of Kansas in 1967, and his doctorate from Northwestern University in 1971. After joining the English faculty at UD in 1969, he went on to spend his entire career in the department, retiring in 2005 after 36 years. He taught courses at all levels of the curriculum, while his research and graduate teaching focused on 18th-century British fiction, including early women’s fiction. He is the author or editor of seven books, and over the years he published more than 70 articles and reviews in scholarly journals and collections. From 1987 to 1996 he served as general editor of The Works of Tobias Smollett, published by the University of Georgia Press. Beasley and his wife, Fleda Brown, also retired from the UD English department, now live in Traverse City, Mich., and spend their summers at their nearby lakeside cottage.